Flip a coin. 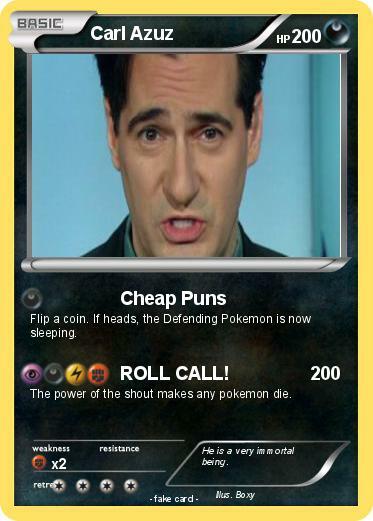 If heads, the Defending Pokemon is now sleeping. Attack 2 : ROLL CALL! The power of the shout makes any pokemon die. Comments : He is a very immortal being.